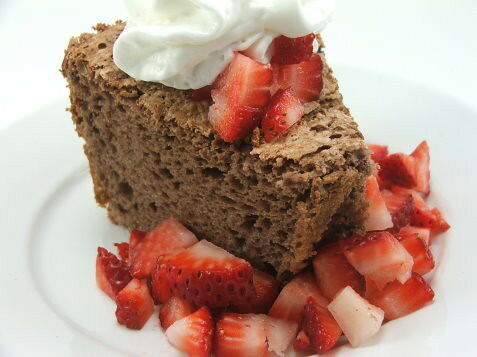 This recipe is something of a triumph for me. 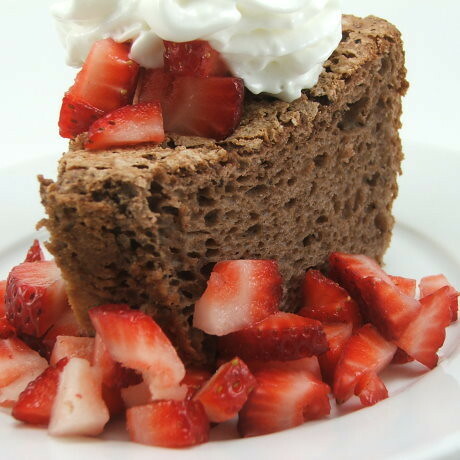 I have long suffered with an inability to make a light and tender angel food cake. 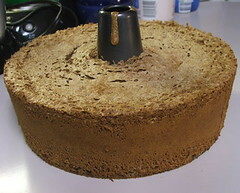 The cakes always, without fail, fall in the oven or just after removal from the oven. It drove me mad! 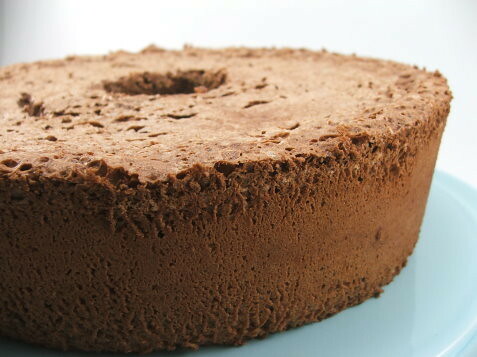 Now I am confident those days are behind me with this recipe! 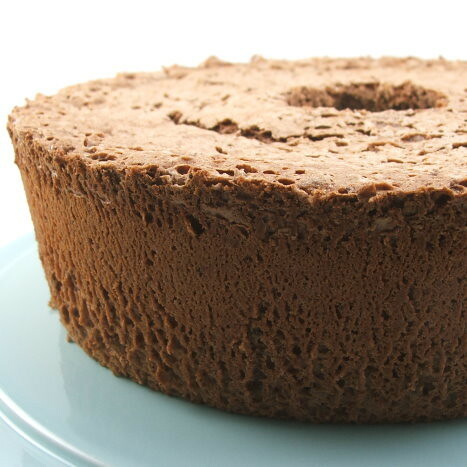 It is adapted from a recipe on Baking Bites which sounds lovely as is, but I tinkered, and added chocolate … which can’t be all bad! 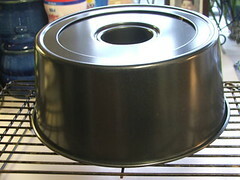 Heat your oven to 325 F and wash and dry a 9″ tube pan, making sure it is completely clean. 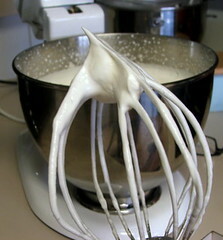 With a hand mixer or stand mixer, beat the egg whites on medium speed until they begin to forth. 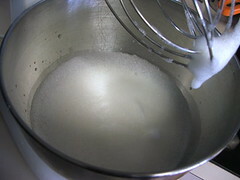 Gradually add 3/4 cup sugar, the salt and the cream of tartar. Increase the speed to high and beat until soft peaks form. 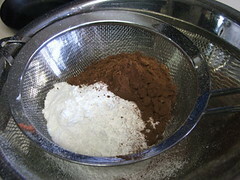 Add the vanilla and blend well. 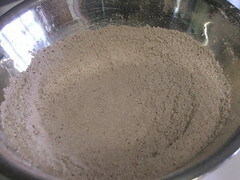 Sift the dry ingredients, making sure they are well blended. 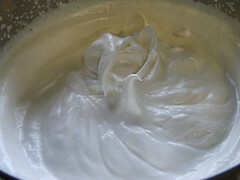 Fold the dry ingredients into the whipped egg whites in four additions, making sure to scrape the bottom of the bowl well while folding. 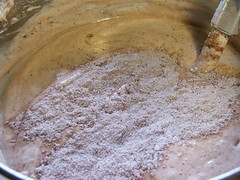 Pour into your tube pan and bake for 55 to 60 minutes. Cool inverted on a cooling rack for at least two hours, or overnight. 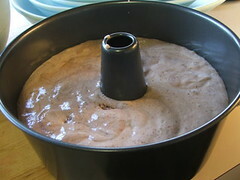 Unmold, using a thin knife around the edges of the pan to help it release, slice, and serve. 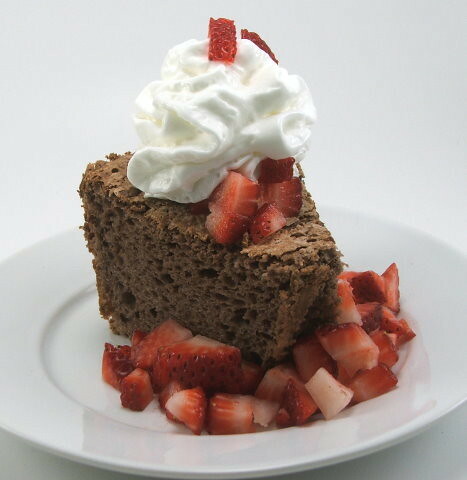 I like mine with strawberries and fresh whipped cream!